If you are looking for the cheapest invoice finance company, you may be surprised to know that there is no single company that answers this description. 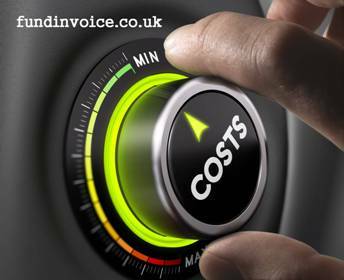 The cost of an invoice finance facility depends upon a number of factors, and the cheapest provider for any particular circumstances varies according to those circumstances. We have undertaken extensive research into the pricing of invoice finance companies, for a variety of different types of facility, and we have found variations in who is the cheapest invoice finance company, depending upon the specific circumstances of the customer. This sets aside the fact that choosing according to lowest price may not be the most sensible option. The service that you receive tends to be very important, and is often something that is overlooked until a customer is up and running with the provider. It is only then that they become aware that they may have made the wrong choice by purchasing on a price only basis, as their method of comparison. The cheapest provider also varies according to the type of facility that you are looking for, for example, factoring or invoice discounting, with or without bad debt protection. There are also variations according to the size of your business and who is geared up to provide the service that you require, at the lowest cost. Similarly, different providers will offer different pricing dependent upon the risk profile of your business. It should also be mentioned that different types of facilities can be priced in different ways. For example, you could seek a fully inclusive single fee arrangement or at the other end of the spectrum, you could pay an individual fee in respect of each invoice that you factor. There are also plenty of examples of particular sectors that not all providers will handle, as they may take a different risk approach to funding your business. This can also be reflected in the costing. The simplest approach is to request a market quote search from us for your particular set of circumstances and we will find you, the cheapest invoice finance company.